The Massachusetts Gaming Commission hasn’t given Encore Boston Harbor the green light yet. But that isn’t stopping Wynn Resorts from reassuring investors the $2.6 billion casino is still scheduled to open in June, as planned. 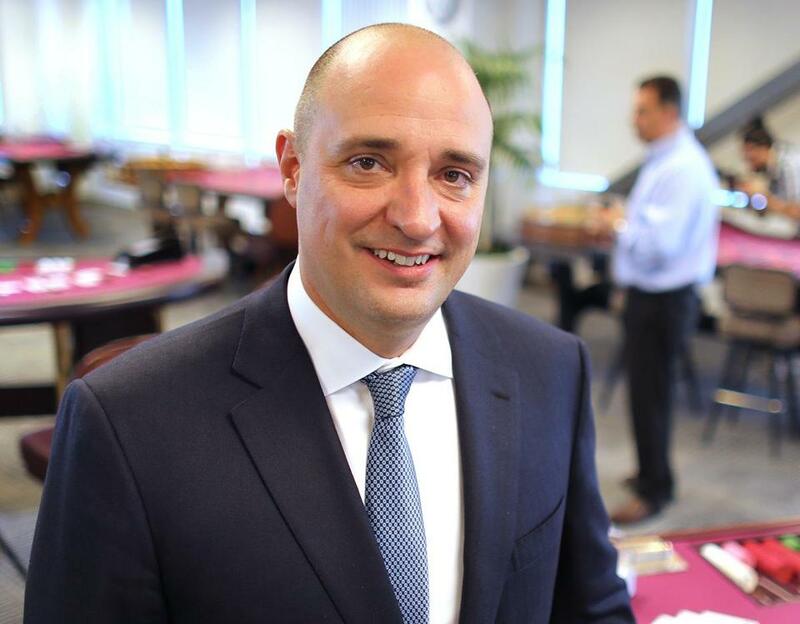 Wynn’s chief executive, Matt Maddox, crowed to analysts on Wednesday that the company was on track for a June 23 opening, despite an unresolved state investigation. A major financial boost for Wynn, he promised, is just five months away. This was supposed to be a done deal, of course, back in 2014, when the commission picked Wynn’s Everett project for the sole casino license in Greater Boston. But a year ago, The Wall Street Journal published a report about an investigation of sexual misconduct claims against then-CEO Steve Wynn, amid the rise of the #MeToo movement. The flamboyant founder quickly stepped down, sold his stock, and left his Vegas villa behind. The board turned over, and management revamped the corporate culture. The company stripped the Wynn name from the Everett casino plans. Regulators in Nevada and Massachusetts still wanted to find out whether other executives were privy to the allegations against Steve Wynn: Who knew what, and when did they know it? At issue here in Boston: the company’s suitability to run the massive gambling palace overlooking the Mystic River. The Gaming Commission was supposed to finish its probe last summer. But summer turned to fall, and then on to winter. Still no resolution. Meanwhile, construction in Everett chugged along. So why is Maddox so optimistic? Here’s why: The company just settled with the Nevada Gaming Control Board, and that agreement acts as a template for how things could get resolved in Boston. Push out the employees who turned a blind eye, and pay a big fine. (The size of the Nevada fine still needs to be determined.) Maddox reassured the analysts the people named in the Nevada complaint — those who knew of the sexual assault allegations and did not properly follow up — no longer work there. But this is Massachusetts. Nothing is as simple as it seems. In November, Steve Wynn sued to block the release of a report from the Gaming Commission’s staff. His concern: Salacious details that the company divulged to investigators, a tiny portion of the overall report, would violate attorney-client privilege if made public. A judge in Nevada already issued a temporary restraining order in the case and is expected to make another ruling shortly. Commissioners huddled on Friday in a closed-door session to discuss the litigation, but took no public action. While the staff investigation is essentially done, this litigation has gummed up the works. The commission also needs to hold a hearing on its staff findings, and then decide what to do. Wynn executives hope the commission can wrap up things by mid-March. After all, Wynn needs to make more than a few hires for Encore Boston Harbor. About 360 employees are on board now. But as many as 5,000 people will work there eventually. At this point, few people seem to expect the Gaming Commission to get in the way of this massive machine. Certainly not Matt Maddox, judging from his comments to Wall Street. At first glance, the Nevada complaint against Wynn Resorts might seem damning: a chief executive and founder who allegedly used his position to harass or assault several female employees, and deputies who looked the other way. But the settlement actually provides a road map for the company to move past this troublesome time in Massachusetts, and to finally swing open the doors to its long-awaited casino.